Cubic Zirconia is the man-made gemstone made in the Nexus Laboratory. It is the hard optically flawless synthesized material and crystalline form of zirconium dioxide. It is colorless and made in many different colored stones. This gemstone is man-made, so, the price is low, it is durable and visually close to the diamond, making it a top competitor since 1976. You can find this simulant gemstone in every major jewelry stores, department stores, jewelry counters in malls, in jewelry catalogs, online and many more places. Since this gemstone looks very much like a real diamond, you can virtually find high quality in most jewelry, pendants, rings, earrings, and bracelets in these shopping areas. Most people like this simulant gemstone for its flawlessness, elegant geniune diamond look-a-like beauty and its affordable prices. You can purchase this gem for half the price of a diamond. Perhaps everyone's favorite shopping place to buy synthetic gemstones is online at the internet's largest synthetic jewelry engagement ring store. At this large online Cubic Zirconia Jewelry Store, you'll find many selections of this beautiful gemstone such as: CZ Anniversary Rings, CZ Solitaire Rings, CZ Platinum Rings, CZ engagement Rings, CZ Necklaces, CZ Wedding Bands, CZ Bracelets, and so much more. The search for making imitation diamonds came as early as 1772 when the eminent French Scientist named, Antoine Lavoisier did an experiment where he showed that gas produced when a diamond burned similarly to that produced when charcoal burned. Many of the same experiments followed years later until the 1950s when a final breakthrough came as a result of scientists being able to reproduced diamonds by crystallizing carbon making it into crystals from silicon carbide. Since then, growing synthetic diamonds has become a popular way of reproducing the original gemstone into larger quantities for man's different purposes and at affordable prices. 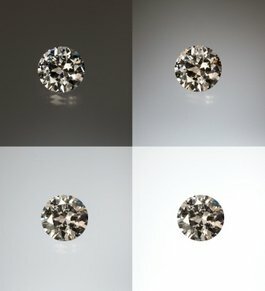 These synthetic diamonds are used in many applications: diamond windows(for space probes to Venus), supercomputers, electronic devices, diamond photo detectors, flat-panel displays and of course everyone favorite, imitation gemstones you can buy from any jeweler at lower prices. 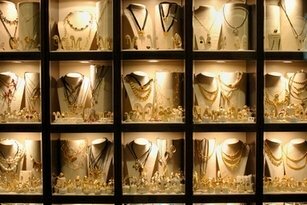 There are many more applications used from synthetic diamonds. This stone is a simulant material containing Y2 O3 (Yttrium Oxide) or CaO as stabilizers or HfO2 (Hafnium Oxide) to enhance optics. This simulant material is also called synthetic Moissanite, it is measured in yellow sodium light in watts per centimeter per degree Celsius at 300K. It is relatively hard on a Mohs scale of 8 and can reflect the colors of yellow, greenish yellow or beige under a shortwave ultraviolet light or it can greatly diminish showing a whitish glow under a longwave ultraviolet light. The difference between diamond and cubic zirconia can be quite distinguishable by the trained eye of a professional who uses the loupe or microscope as an instrument to study the two different gemstones. However, the most appealing of this gemstone is knowing that you can purchase it looking like a real beautiful diamond for a lower price.